There wouldn't be dogs without humans. And it's probably fair to question what would have become of humans without dogs. I mean, who would want to live in a world without dogs? Humans and dogs are so symbiotic, their stories so intertwined, that it's easy to overlook the fact that dogs are absolutely amazing. A whole separate species that lives alongside us, follows our directions, reads our emotions, and brings us joy. They'd seem like magic if they weren't already such a part of us. And because they are such a part of our lives, there's an empty spot when they're gone. We've been feeling that absence acutely ever since we lost Otto two weeks ago. He was such a presence in my family's life, in our neighborhood, and here at AOA. We miss him. A lot. 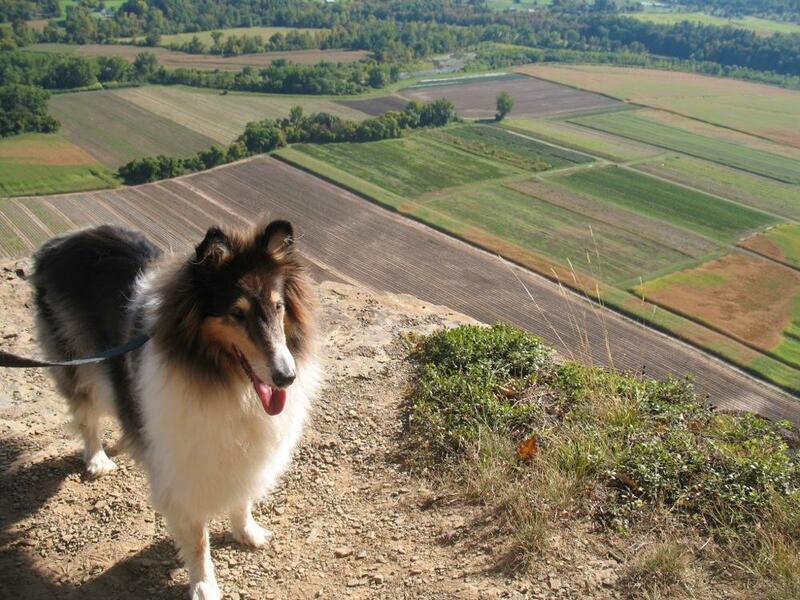 Dog-friendly weekend trip and hiking spots? Any recommendations on local and weekend trip, dog-friendly places to visit? Hiking suggestions are also welcome! So... got a suggestion for J about particularly dog-friendly destinations? Please share! And sentence or two about you're suggestion a place can be helpful. Recommendations for good puppy classes? It's hard to believe Otto was ever this tiny. He's 10 years old now! I am hoping to get some help from the AOA community on suggestions for puppy classes. I've just adopted a four-month-old puppy and know training is needed for both of us. The person who was highly recommended the last time this was asked in 2012 has since retired (Jody Diehl) and am wondering if there are other trainers who fill that void. I'm looking for someone who does positive reinforcement training instead of other methods (choke/slip collar). Props to Heather for seeking out this sort of training. It can make a big difference -- for both dogs and people. A well-socialized (and exercised!) 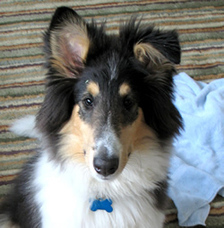 puppy that gets good training often ends up being a calm adult dog with good manners. Got a suggestion for Heather and her pup? Please share! And a sentence or two about why you're recommending a trainer or place can be helpful. The Albany city municipal golf course -- Capital Hills (map) -- is open for all sorts of winter activities, as it is each year between golf seasons. That means lots of people walking dogs off leash and, when there's snow, cross country skiing, snowshoeing, and sledding. The course, on hilly acres alongside the Normans Kill, is a beautiful section of land. Don't miss the loop through the old course, which is especially beautiful after a blanket of snow. Capital Hills is a dog wonderland during the winter. It's one of Otto's favorite places because he can trot around off leash and meet all sorts of other dogs. (He'd stay there all day if we let him.) But here's the thing... please be responsible about it. That means making sure your pup will be polite with dogs and people. And, yep, you've gotta pick the up the poop. The dog park that's been in the works for downtown Albany officially opens today. The park is in Wallenberg Park, the slice of land that sits diagonally from The Palace, up against the on-ramp for I-787. The 15,000-square-foot enclosure will be open dusk to dawn dawn to dusk, seven days a week. Good swimming spots for dogs? 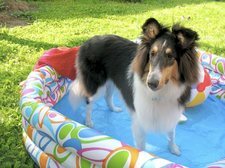 We added a puppy to our family this spring and now that the days are hot and humid, I was hoping someone would have a suggestion on where to take our pooch swimming. We are looking for a place where we wouldn't be breaking any laws by letting our guy in the water. Following the rules is an important consideration, and we'll add another one: water quality. So, got a suggestion for Laura and her dog? Please share! And sentence or two about why you're suggesting a spot can be helpful. The newest development in downtown Albany: a dog park. 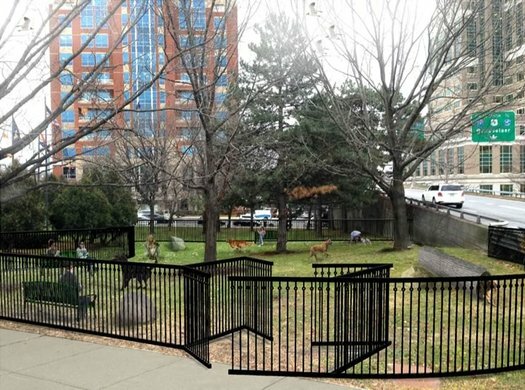 The new fenced-in play space for pups is scheduled to open this summer. Classes or a trainer to help a dog with a fear of kids and strangers? Seeking recs on dog behavior training; mainly to correct fear of children. Jody crushed the 2012 topic but retired & moved. 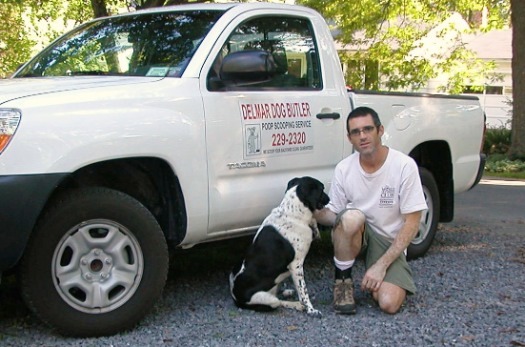 Training can make a huge difference for a dog -- and the dog's people. It can help everyone be happier and calmer. It really is worth the effort. So, got a suggestion for Jeff and his dog? Please share! And a sentence or two about why you're recommending a trainer or class can be a big help. The Mr. Mo Project saves senior dogs from kill shelters across the United States. These dogs often come with hefty vet bills in order to regain their health so they can live comfortably in their forever foster homes. But, the Mr. Mo Project doesn't stop after covering their initial medical costs, they continue covering the medical needs of each dog in their program for the remainder of their life. This takes the financial demand of a senior dog, that often deters people from adopting them, out of the question and provides homes that give these seniors "The Best of Life for the Rest of Life." The people behind the org are Chris and Mariesa Hughes from Clifton Park. Back in February they told News10 they would have to slow their adoption work because funding had become tight -- at that point they paying for the care of 75 dogs. The website has info about adoptions, donations, and events. Recommendations for dog boarding with some room to roam? We'd like to find a place that's not going to cage him all day. Some place where he can socialize with other dogs and have a little vacation, just like us! A similar question came two years ago, but things change. And C mentions that one of the places they're interested in -- Camp Bow Wow ("makes me laugh just to type it!") -- appears to have opened since then. The part of C's question that caught our eye was the bit about finding a place that will allow dogs to get out and socialize and maybe roam around during the day. So, got a suggestion? Please share! And a sentence or two about why you're recommending a certain place can be a big help. Beginning November 11, 2015, all dogs entering Mohawk Hudson Humane Society will be registered on Finding Rover. When a dog is registered on Finding Rover, he or she is protected with revolutionary facial recognition technology. This 98% accurate, photo-matching technology is FREE and available for anyone to use on a smartphone or computer. Every dog that leaves the Humane Society, through a reunion or an adoption, can remain protected on Finding Rover when the pet-parent completes registration with an email. If that dog ever gets lost, his or her record will already be in the system, and identifying that pet will be a snap. The service works in the other direction, too. 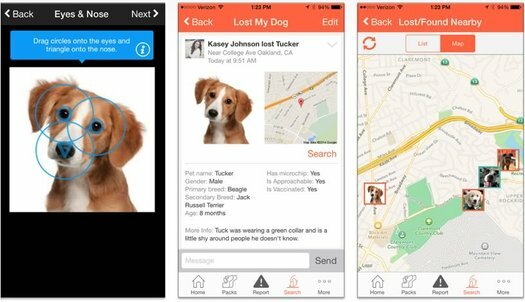 You can download the app, scan a picture of your dog, and then if the dog is found by someone using the service -- Mohawk Hudson Humane, for example -- the dog can be identified. We were curious about the background on Finding Rover and this NPR article filled in some of the details -- among them, how the company makes money. "For now, Finding Rover relies on investors for funding, but [founder John] Polimeno expects advertising in the app's social network for pet owners will pick up soon." Apparently we can do polls on Twitter now. Let's try it out: What do you think about dogs on restaurant patios? We tried out the new Twitter polling function by asking people this week about how they feel about dogs on restaurant patios -- an issue on which people seem to have many opinions. + Whether dogs are allowed on a restaurant's patio is at the restaurant operator's discretion. 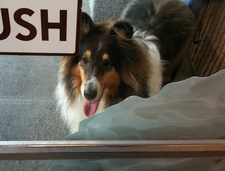 + The dogs must enter the patio in a way that doesn't lead through the inside of the restaurant. + The area where dogs are allowed can't be used for food or drink prep, nor for the storage of utensils. + Water provided to dogs should be in disposable single-use containers. + Food employees aren't allowed to have direct contact with the dogs while on duty. + "Surfaces that have been contaminated by dog excrement or other bodily fluids shall be cleaned and sanitized." 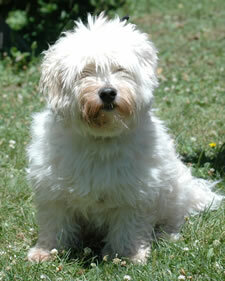 + The dog must be kept on a leash or in a carrier and under the control of its handler. + There is "reasonable signage" indicating that companion dogs are allowed in the outdoor dining area. As we've said before, we love dogs -- but there's probably a good argument that dogs don't need to be everywhere, and maybe restaurants are a place to draw the line. A big part of how this goes over will probably come down to how well dogs (and their owners) act -- a calm, well-behaved dog probably isn't going to be an issue for most people. And, of course, all this will be at the discretion of the restaurants. My new cart upgrades help me run faster and grow stronger everyday! Please share, I'm doing my best, but I need your help to get more exposure. Thanks again for the kind words, encouragement and support, I couldn't do it without you! Because dogs: This is Theo, a pitbull in Glenville who needs a home. Oh, and Theo comes with a custom-designed four wheeled cart that helps him get around because of a brain deformity that affects his balance. Kelly de la Rocha has the backstory on Theo over at the Daily Gazette. No matter how many times we explain the law to Otto, he just doesn't seem to understand. In New York State it is against the law to allow a dog in a restaurant -- even (technically) on an outdoor patio. But a bill sponsored by Assembly member Linda Rosenthal (D-Manhattan) would open the door for dogs to legally be in outdoor eating areas. 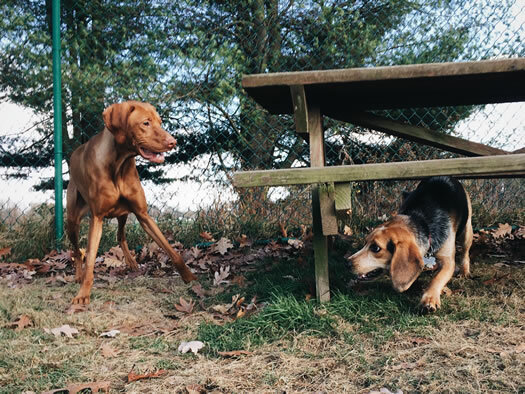 We've been enjoying the dog photos posted on Instagram by local dog trainer Dylan Boyce -- they capture these great moments of joy and excitement as dogs romp around local dog parks. 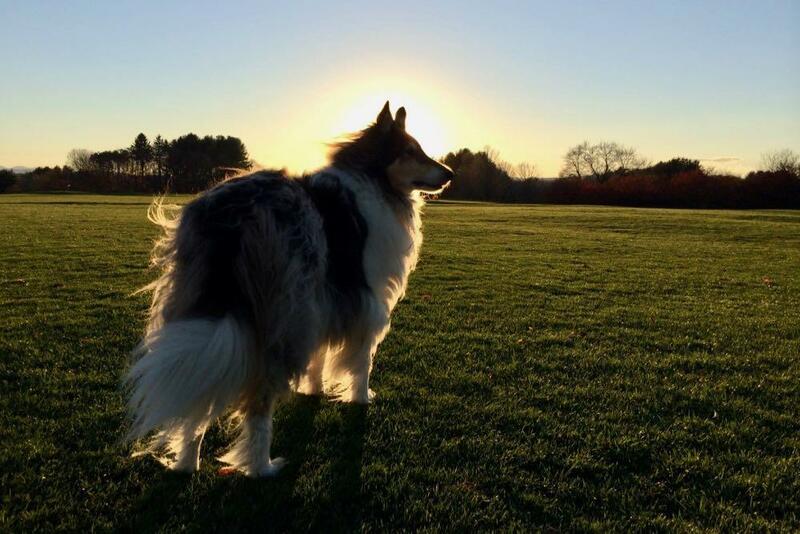 So we were happy to see this week that Boyce, a trainer and dog park playgroup leader for Hounds on the Hudson, is publishing a book of the photos. Still Life with Dogs is an 8x8 soft bound saddle stitch book with 33 photos. And it's available for pre-order via an Indiegogo campaign for $20. They'll also be available at the Hounds on the Hudson storefront at 472 Madison Ave in Albany starting Monday, December 8. Boyce says the campaign to raise money for the initial printing has gone well enough that he'll be donating 10 percent of all sales to the Mohawk Hudson Humane Society. 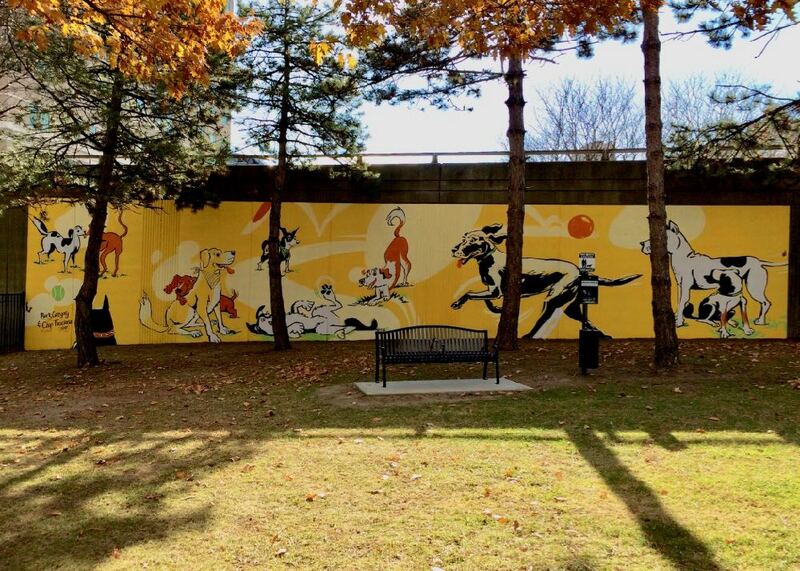 There are multiple dog parks in the city of Albany and some of the surrounding towns. Speaking fro experience going to some of them with Otto, each park kind of has its own feel and set of regulars -- and that can be both good and/or bad for your dog (and for you). So, got a suggestion of a good for Mary and Django? Please share! Bonus points for a line or two about why you like that park. Eateries that allow or accomodate dogs? I am wondering if there is a casual eatery around where dogs are at least allowed, but I hope they are welcome. This place would ideally be anywhere at all between Albany and Gloversville. The casual [category] would necessarily include those places that only sell hot dogs and hamburgers, I guess, since we'll be eating outdoors. But I'm open. Non-service animals are prohibited in restaurants by state regulation. But we've seen a bunch of places that (perhaps informally) allow dogs on (just off) patios. And it would seem seasonal outdoor places will have much more leeway. Have a spot to suggest to M? Please share! Now that the snow is gone, once again evidence re-emerges -- perhaps "unthaws" is the better word -- that not every dog owner is as courteous as he or she could be. As Albany Common Councilwoman Leah Golby said today on Twitter of people who don't pick up their dog's poop: "You are giving us responsible dog owners a bad name!" There are a lot of neighborhoods in the Capital Region that include a lot of dogs. And we think this is generally a good thing -- dogs are often a way for people to get to know each other. We've met a bunch of people in our neighborhood because of Otto. As with any situation involving other people (and dogs), a little bit of responsibility on everyone's part can go a long way toward creating a more courteous environment. Also: We're all better off when people aren't stepping in dog !@#$. This will sound either fantastic -- or perhaps less so -- depending on whether you're a dog person: The Confectionery in Troy is starting a weekly "yappy hour" on its back garden patio. The first "canine friendly cocktail party" is scheduled for June 10 from 4-8 pm. After that it will be each Sunday in June from 2-6 pm, weather permitting. 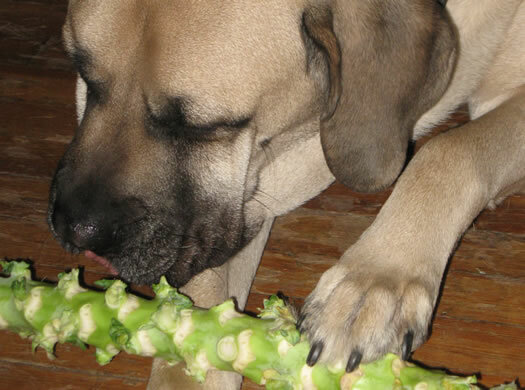 At "Yappy Hour," pooches, hounds and pups will enjoy a complimentary canine "charcuterie" and liver-infused water. Doggie dates will enjoy wine and beer specials. Dog owners and their sociable furry pals can enter the garden patio through the Franklin Street Alley entrance (off Broadway). Each Yappy Hour party is asked to donate $10 to support local animal rescue organizations. Dogs at a food establishment? We heard from a Confectionery rep that they checked with the Rennselaer County department of health and got the OK for having dogs on the patio. And, by the way, yes... 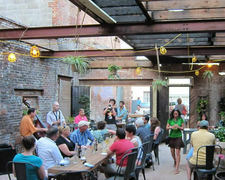 The Confectionery's back patio is now open, if you hadn't heard. 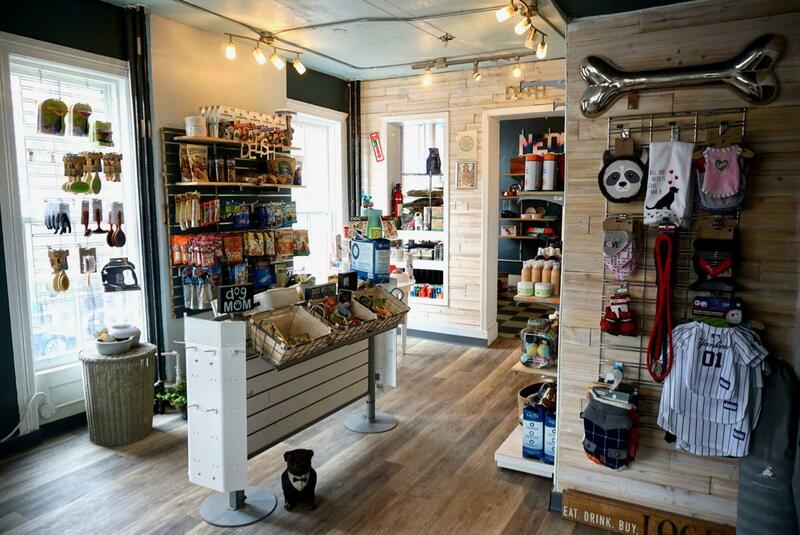 Yappy hour in Saratoga: Sloppy Kisses, a dog boutique in Saratoga Springs, organizes a yappy hour during the summers, and it just started up for the season. The next is scheduled for June 13 at the Parting Glass. The Olde English: A while back Matt Baumgartner proposed a sort of "dog park" for the Olde English. But we haven't heard how that worked out. Anyone have an update? Here it is in large format. 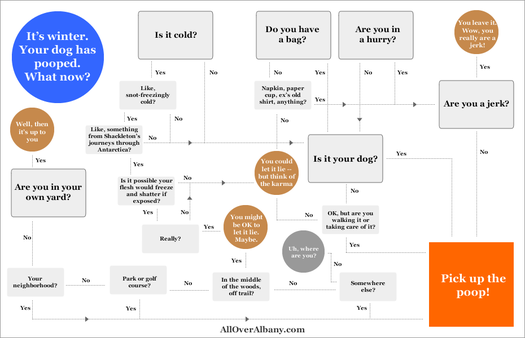 I think @alloveralbany needs to post the Pick Up The Poop flowchart again. People, seriously, BE RESPONSIBLE & pick up after your dogs. It's obviously a difficult question for some people, so this should help. Capital Hills, Albany's municipal golf course, recently closed for the year -- which means it's open for dog walking, people walking, cross country skiing, snow shoeing, sledding, and other various winter stuff. It's a beautiful piece of land. And if you've never walked through the old course on a snowy day, it's worth doing so this winter. It is also one of the best places around to walk a dog because the dogs are allowed to go off leash. 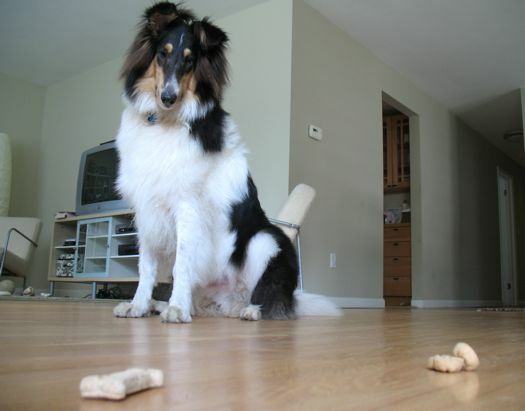 But here's the thing, dog people: you have to take responsibility for your dog. If Spot doesn't play well with others, you have to keep him under control. And you gotta pick up the poop. That might seem obvious, but already this past weekend there was left-behind poop. That's wrong -- and you're ruining it for everyone else. If you're not clear about whether you should be picking up poop during the winter, here is a helpful flowchart to guide your decision making. 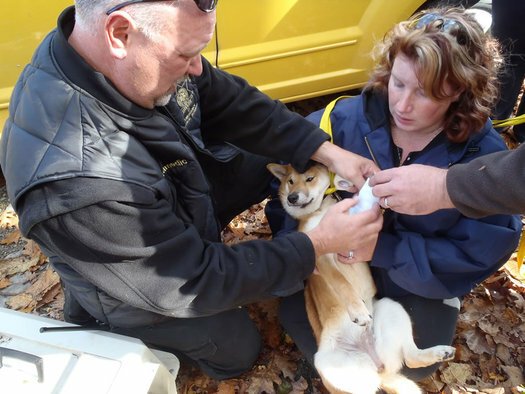 The dog in the photo above -- Shiba, a Shiba Inu puppy -- was rescued Sunday after it fell off a cliff at Thacher Park. Apparently "Shiba", a six month old Shibainu puppy had run off of a cliff located in the Hales Cave area of Thacher Park. Shiba was being walked in the area by her owner, Samantha Cullum of East Greenbush, when she strayed away from her owner and ran off of the cliff. The Albany County Sheriff's Office Search and Rescue Team responded and repelled down the cliff to locate the canine. After an extensive search, Shiba was found hiding in a three foot deep crevice by members of the Search and Rescue Team. Shiba suffered what appeared to be a broken leg and was treated by Albany County Paramedics on the scene. Shiba was transported by her owner to the Latham Animal Hospital for emergency veterinary care. Albany County Sheriff's Patrol members, Albany County Paramedics, and maintenance staff from Thacher Park also assisted in the search. Shiba's story about all this is totally going to trump the other dogs' stories about squirrels and tennis balls at the next dog park meetup. Update: The dog's owner tells the TU she and the dog were far away from the cliffs when the dog took off -- and acknowledges she should have had the dog on a leash. What if Owney had made some unexpected detours during his travels around the world and had some exciting adventures along the way? He was always going his own way, so it wouldn't be altogether surprising. If their project is successful, Albany's most famous pooch could be famous once again. What? You don't know about Owney? The Mohawk Hudson Humane Society says a staff member found this dog -- named JoJo -- tied to a pole in the org's parking lot in Menands. 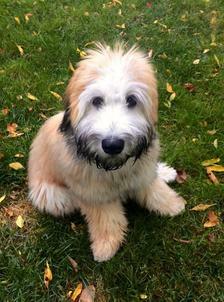 Luckily, JoJo had been chipped -- and it turned out he belonged to a family from... Michigan. "Jojo is a perfect example of the importance of the microchip. If he were not chipped, this story might not have the same happy ending that it does," said Executive Director Brad Shear. "We have a virtual lost and found board on our website where people can post a listing for lost pets and people finding pets can post found reports, and all strays are posted on the website. But hundreds of animals come to the shelter with no ID. The humane society will be chipping dogs and cats today (Monday) and Tuesday for $15 from 10 am-5 pm at the shelter in Menands. (The chip is a tiny capsule implanted under the animal's skin. The info on can be read when a scanner passes over it.) Dogs must be leashed and cats must be in a carrier. Otto generally tolerates the bath, in part because we bribe him with treats. Also we think he secretly kind of likes having the dryer used on him. After a few walks in the rain and mud had left Otto looking (and more importantly, smelling) not so fresh, we knew what it was time for: a good Shampoodling. 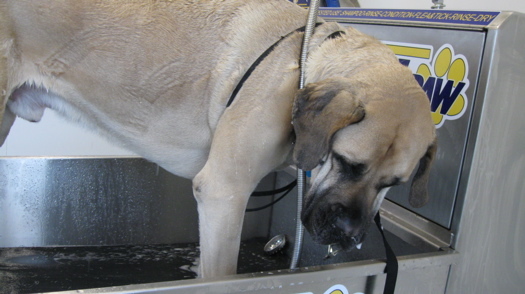 Shampoodle is a do-it-yourself dog bath/grooming place with locations in Delmar and Clifton Park. It's come up once or twice before, but we figured it's worth its own standalone mention. 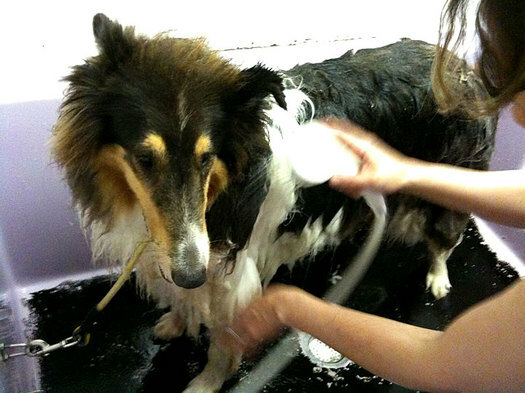 Because it's the best way we've found to give Otto a bath. 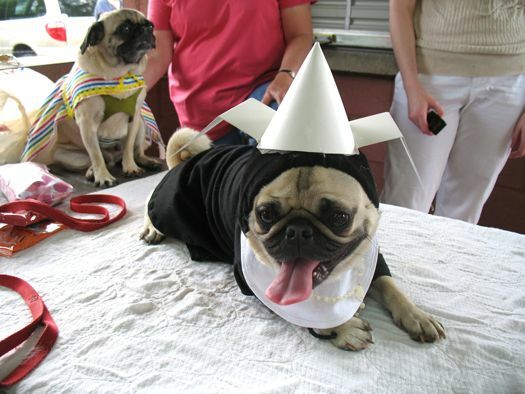 The annual Pug Parade and Costume Ball is coming up June 2. It's pretty much what it sounds like: a bunch of pugs parading about. In costume. The event is organized by the Albany Capital District Pug Lovers Group and is a benefit for the Mohawk & Hudson River Humane Society and the Green Mountain Pug Rescue org. We attended the Pug Ball a few years back -- it was a lot of fun. Pugs are sort of inherently funny dogs. Many of them appeared to actually enjoy parading about in costume. (Or, at least, they didn't feel like it was crushing their will to live, as some dogs have claimed.) There seemed to be a lot of happy people and dogs. 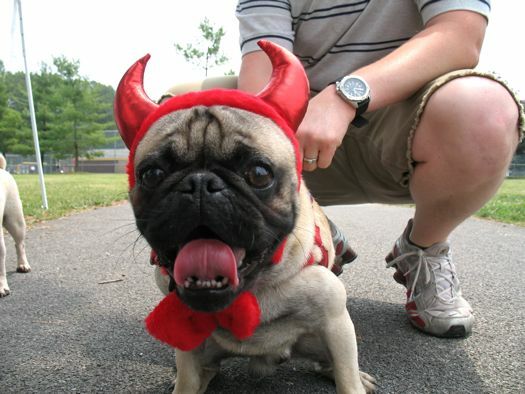 Of course, if you're a strict no-costumes-on-dogs person, this event is not for you. Because the costumed pugs will have you surrounded and outnumbered. Snort. The Pug Ball runs from noon-4 pm on June 2 (a Saturday) at the main pavilion in Colonie's Cook Park. The pug parade is at 2 pm. I knew there had been an effort underway to get a dog park in our town -- on occasion I'd even dropped spare change into a dedicated collection jar at the counter of our beloved coffee joint. But somehow I'd missed the fact that it had actually gotten past the planning stage and into the oh-my-god-you-can-really-bring-your-pooch-there-and-play stage. I suppose back then I was a little preoccupied. The children were younger. Jobs were hectic. Our dog - a centenarian in dog years - wasn't much interested in play. She was happy just to lay on the hardwood floor wherever the sun was keeping it warm. She had earned her retirement. Then, one day last summer, she was gone. It was a while before we were ready to think about dogs. But recently, with a new puppy chewing on the furniture and the kids climbing the walls, I thought it was time to get a gander at the dog park. 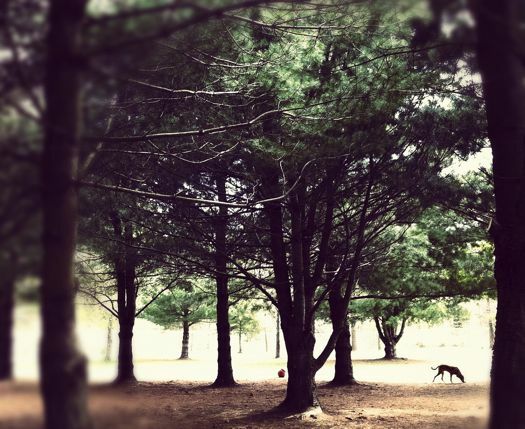 Turns out dog parks -- they're not just parks for dogs. 2,000 sq ft of social space, coffee bar with seating and free WiFi if you just want to hang out with your "lazy" dog and socialize in a low key way. Yappy Hours, Parties, rentals and special events will be held. 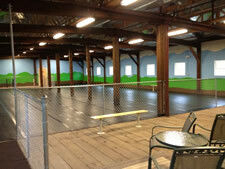 2,750 sq ft of safe open play space with an abundance of toys and play equipment. Here are photos of the space, the price info (starts at $8 for 2.5 hours for one dog during week days), and rules for the space. There's a grand opening tonight (Friday) from 5-8 pm with free entry. The people behind the dog park are Keith and Amy Augustine from the gourmet dog treat company The Lazy Dog Cookie Co, according to its Facebook page. We've thought for a while that someone should open a place like this in one of the many empty big box spaces around the Capital Region (but an old barn works, too). It could be useful during the winter or when it's been raining for days. 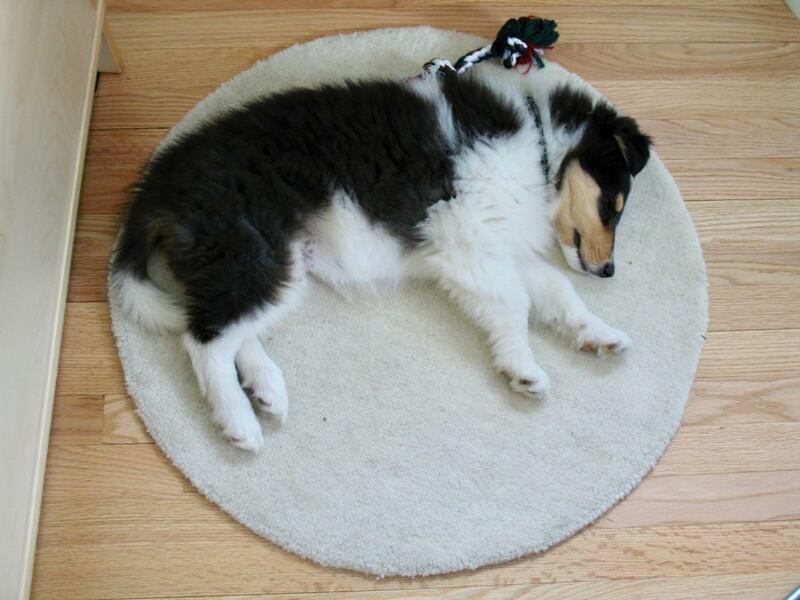 A good dog is a dog tired from walking or playing. It initially could not be determined whether it's had been intentionally severed or if it was struck by a car. A search was conducted late this morning and the dog's body was found in between the eastbound and westbound lanes in between the cement supports of the Washington Avenue overpass. The owner of the dog, who lives in Albany, was located today and she told police the dog was acting strange this past Friday and it got loose from her and took off. She had put out flyers and posters for her dog and called the Mohawk Hudson Humane Society to report her dog missing. APD spokesman Jimmy Miller told the TU today that the DEC pathologist who examined the dog called the case "very unusual." Otto enjoys the wide open space. A few people have asked about this recently, so we figured it's worth a mention: Capital Hills, the Albany municipal golf course, is now closed for golf -- which means it's open for dogs, walkers, cross country skiers, snowshoers, and tiny humans who like to sled. Capital Hills might just be the best place in the Capital Region to walk your dog. 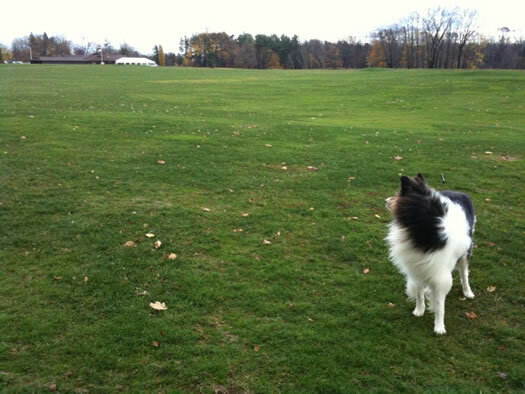 During the winter, the course is like a giant (dog) park, where pups can run off leash. On the weekends there are usually a bunch of other dogs, so there's a lot of opportunity for playing. And the place itself can be beautiful, which makes for good (human) walking/snowshoeing/skiing. + Please pick up the poop. We've been over this before, but it deserves repeating. 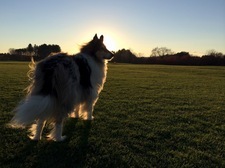 + Somewhere around 95 percent of the dogs at the golf course play nicely with others and are well behaved. If your dog is in that other 5 percent, please take the necessary steps to keep him in line. + Watch out for the small humans who are there to sled. They are not always happy that your dog wants to meet them. + Please drive slowly through the parking lot. There are lots of dogs and kids about. Help! I need a vet in Albany / Troy area! My pup needs to see the doctor. Please recommend a good veterinarian. This question has come up before for cats, but not dogs -- which is a little surprising given how many people seem to have dogs. Got a suggestion? Please share! And please include why you like going to that vet. The New York Times described Owney as "[not] a handsome dog, but he has excellent qualities, and is kindly and intelligent." We should all be so lucky to be described that way. 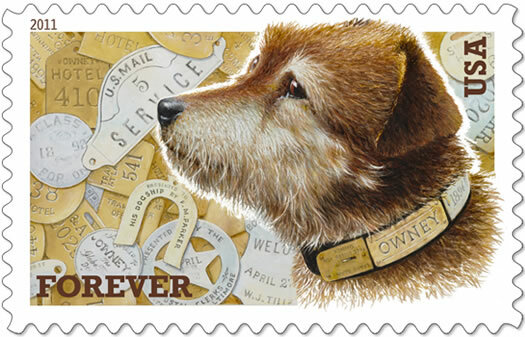 One of our all-time favorite Albany stories is that of Owney the Postal Dog. The short story: in the 1890s, Albany was known all around the world because of Owney and his travels on the rail cars that carried mail. He even ended up going around the world, a feat that landed him on the front page of the New York Times. He's now on display at the Smithsonian's National Postal Museum (yep, the actual Owney -- they had him stuffed). Greetings, All Over Albany Readers! My name is Murphy. And yes, I'm a dog! 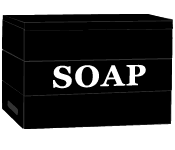 My Master, Daleyplanit, sometimes writes for the Sunday Soapbox. This week he wanted to post about the life of a dog in Albany -- a subject I'm pretty familiar with -- so we decided I should step in. So here's Murphy's dog-eye view of life in Albany. 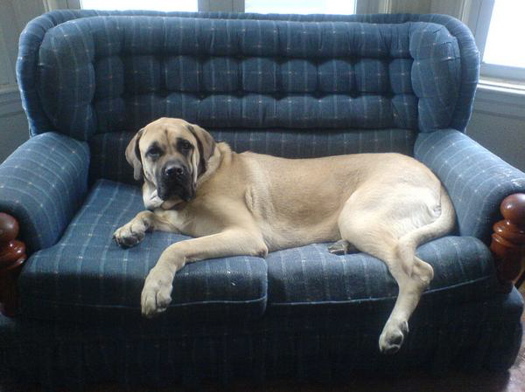 Is your dog no longer content to watch hockey at home? You're in luck. The Albany Devils are offering a "Pucks and Paws" promotion Saturday night: Bring your dog to the game. For $20, you and Bowser can watch the Devils take on the Rochester Americans. Five dollars of the ticket price will go to the Mohawk & Hudson Humane Society. Any extra human companions a dog brings along can get in for $15 each. Dogs and their owners will be seated in the upper level of the arena. The game will be 7 p.m. Saturday at the Times Union Center. Here's more info. The Tri-City ValleyCats run a similar promotion every year. "Bark in the Park" takes place in August; this year's date is not yet set. image via Flikr user bizzlenj. Kylen with two of her stars. Kylen Kline spent the last two years dealing with some real divas. She was on the road with stars from Legally Blonde the Musical driving from coast to coast in a van and working 8 shows a week. "It was exhausting work," she says. Most of Kylen's time was spent catering to the stars' needs, but she didn't mind it because those stars -- two Chihuahuas and two Bulldogs -- showed their appreciation with wagging tails and sloppy kisses. Now Kylen's back in her hometown (she went to high school in Clifton Park) and realizing her dreams. Kylen has created StarPups, an in-home boarding, dog walking and cat visit business that will be expanding to a doggie day-care, training facility and boutique in the fall. I talked with her recently about life on the road with a Broadway show, her business plans and how little dogs can be big divas. 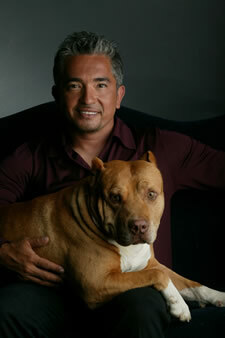 Cesar Millan -- "the Dog Whisperer" -- is coming to the Palace March 27 (that's a Sunday). Tickets go on sale January 14 (a week from this Friday). They start at $35.75. Millan has become a huge star from his TV show, books and various whatnot. But we're not exactly sure what "An Evening with Cesar Millan" entails. The press release we got says "Cesar will touch upon his life experiences, and teach the attendees at his live show how to apply his techniques in the training and rehabilitation of their own dogs." Millan talks a lot about "rehabilitating" dogs and "training" humans. So maybe he'll train some audience members on stage. Tsch! Chances are the audience for this event will have to wait outside the theater until Cesar arrives, so he can enter the door first. It's a dominance thing. Earlier on AOA: It's winter. Your dog has pooped. What now? It's winter. Your dog has pooped. What now? Now that the winter weather has gotten cranked up, we figured it would be a good time to address an issue that seems plop down around the end of each year: dog poop. Uh, why are you bringing up dog poop? Good question! 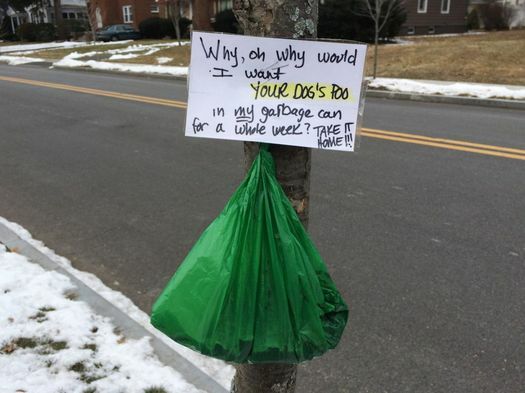 As the cold weather sets in each winter and the snow accumulates, we notice that piles of dog poop start gathering along streets in the Capital Region. (It's kind of hard to miss, given that it's a high-contrast item in the snow.) And these forlorn turds then freeze into unfortunate poopsicles -- which are a real treat come spring. Well, we've thought a lot about this issue. And we finally came to the conclusion that winter somehow impairs the ability of some people to make good decisions about whether they should pick up their dog's poop. So, we're here to help. We've constructed a flow chart to assist citizens of the Capital Region in their decision-making process on the all important question: "It's winter. My dog has pooped. What now?" Otto takes in the open space. 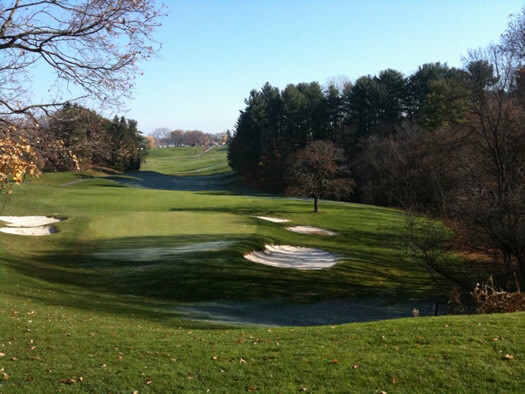 The City of Albany's golf course, Capital Hills, has closed for golf for the year. That's sad for golfers... but happy for dog walkers, sledders and cross-country skiers. After the golf course closes for the season, it basically becomes a giant park. 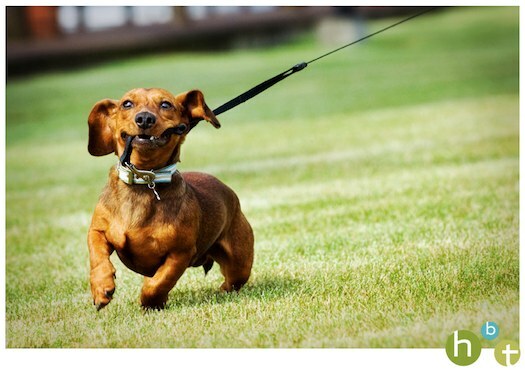 It's one of the best places to walk dogs -- they're allowed to go off-leash, and there's plenty of room to run. On the weekends, there are always a bunch dogs ready to play, but it's not cramped like a dog park. The course is Otto's favorite place -- maybe out of everywhere. The course is a beautiful piece of land, rolling hills alongside the Normanskill. Right now, the grass is a deep green and the last few autumn leaves are hanging on the trees. After a snow, it's absolutely peaceful. Check it out: it's a map listing dog-friendly places in Saratoga, part of the Saratoga Springs Dog Friendly Downtown project. It also includes notes for each place -- for example, at Lifestyles: "We welcome dogs under 30lbs. No dirty feet please." Rebecca emailed a few months back that something like this might be good for Albany. Any interest? We could probably something together for other parts of the Capital Region. 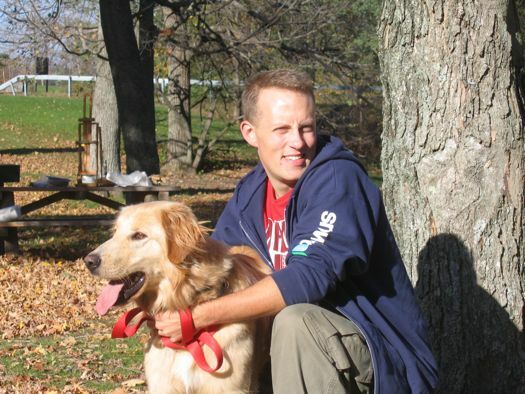 By the way: There's already a map of Capital Region dog parks, compiled by Mark. I bought a used car from a friend who had a dog, and the car smells like dog...which isn't too great when it's hot and the windows are up because the AC is on. Two different friends of mine have said I should get the car detailed, which I guess is an extra thorough washing, but I have no idea how to find a place...I am willing to throw down a few dollars to make the car fresh again, but would like to make sure that my money is well spent. So maybe some of the AOA readers have some experience with this? Also, if they think a vacuum and some baking powder is the way to go, I welcome any DIY tips (although this is definitely one of those things that I would rather pay for). Oof. We hope you have some suggestions for places Sue can get her car de-dogged. 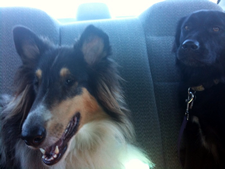 The Otto-mobile has also been kind of doggy lately -- so we could also use the tips. Know of a good pet sitter or boarding? I know you've done posts in the past asking for reader suggestions about good haircuts, doctors, etc, and since travel season is coming up, I was wondering if you could do a post about pet sitters? I definitely don't want to hand the keys to my apartment and the care of my cats over to someone I've randomly picked without recommendation. We totally understand where Kristin is coming from -- knowing the office dog is well cared for makes one less thing to worry about when traveling. This might not help Kristin's exact situation because she has cats, but Otto has vacationed at Happy Tails in Altamont. The facilities are nice and the owners were very friendly. They even got one of Otto's favorite toys back to us after we left it behind. As far as we can tell, they don't have a website, but here's a pdf brochure with contact and other info. Anyone have suggestions for Kristin? Or even some good boarding, pet sitting, or walking experiences that might help other people? Please share! It's pretty safe to say that we're dog people at AOA. Heck, we never shut up about the office dog. 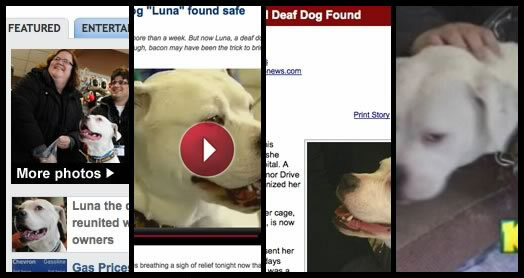 But yesterday afternoon while watching the news spread that Luna -- the Capital Region's now-famous missing bulldog -- had been found in Colonie, we started thinking: Did this get out of hand? Okay, you've probaly heard of the raw food diet for people. So it's probably no surprise that the idea has spread to dog food, too. After all, their wild ancestors certainly weren't dabbling with meat grinders or industrial ovens. Lisa Rosamino of Ballston Lake has been feeding her dogs a raw diet for over a decade now, and she runs a business -- called Rrrawsome -- that sells raw dog food ingredients locally. 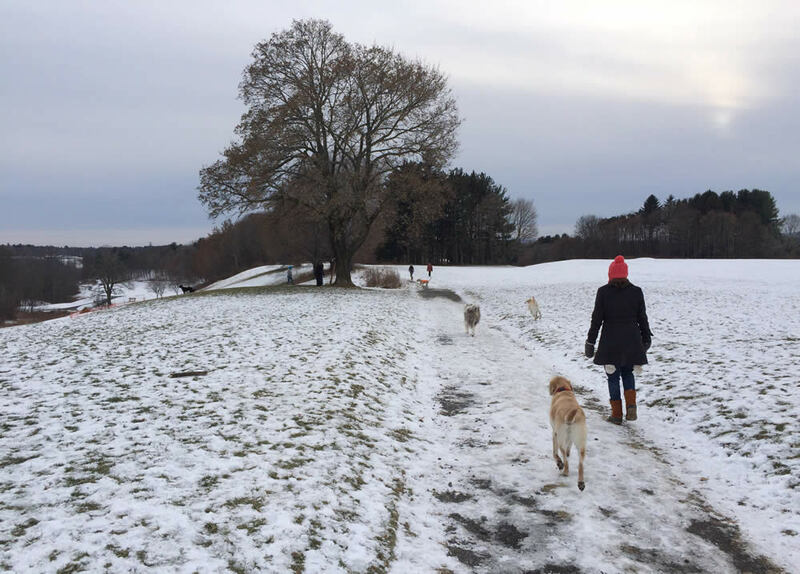 AOA took a brisk walk around the block recently with Jen Pursley and Michael Guidice, the owners of local dog walking service Hounds on the Hudson. 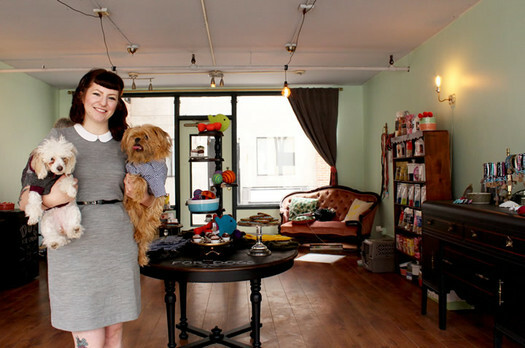 Melanie Dallas, the owner of Saratoga dog boutique Sloppy Kisses, has organized a series of Yappy Hours at The Backstretch Tap Room (the former It's Confidential) on Caroline Street this summer. Yappy hours are kind of what they sound like: happy hour -- with dogs. The next yappy hour is June 14 at 1 pm. + The Albany Society of the Advancement of Philanthropy has organized a cruise on the Hudson this weekend to benefit Project Drumm, a no-kill animal rescue here in the Capital Region. The "Critter Cruise" is 2-4 pm this Saturday. It's $30. ASAP promises "plenty of dancing and fun for everyone." + And if you're up in Glens Falls, it sounds like Davidson Brothers is the place to dine with your dog. Yes, they look yummy, but hands off! They're for the dog (or cat). On day three of AOA's holiday gift guide -- a little something for man's best friend. A selection of baked pet treats from Sherry's Kitchen. 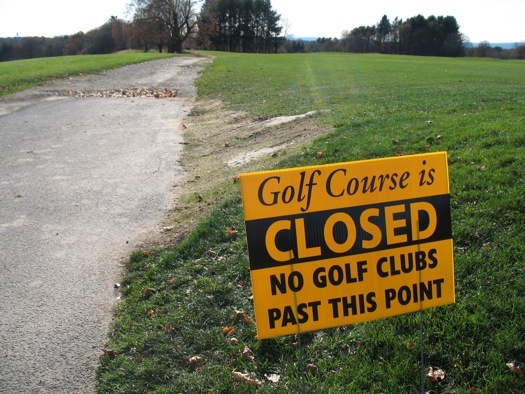 In a sign that winter is really here, the City of Albany's Capital Hills Golf Course closed last weekend for golfing. Sad for golfers, but good for walkers and dogs. Why? Because when the course closes for golf, it basically becomes an enormous park. It's a great place to take a winter walk. And dogs absolutely love it -- Otto gives it his highest praise. The course opens back up for golf next April 15. 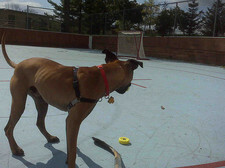 Otto, AOA's office dog, touring the Joe earlier this summer. 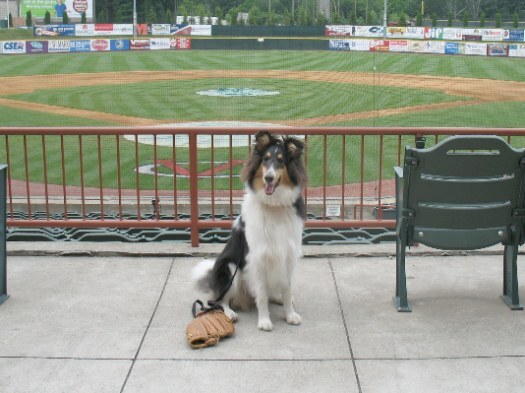 The ValleyCats' season is almost over, but not before it goes to the dogs (ouch). This Saturday's game against the Vermont Lake Monsters is the annual Bark in the Park night, which means dogs are welcome at the game. First pitch is 7 pm. 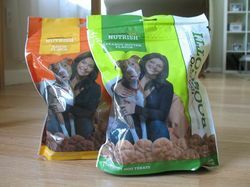 Not content to merely take over the human world, Rachael Ray -- and her brand -- recently expanded into the world of dog treats and dog food. The Rachael Ray Nutrish line features "premium" dog food, chewy "Grill Bites," and crunchy "Booscotti" (as in Isaboo, Rachael's dog). 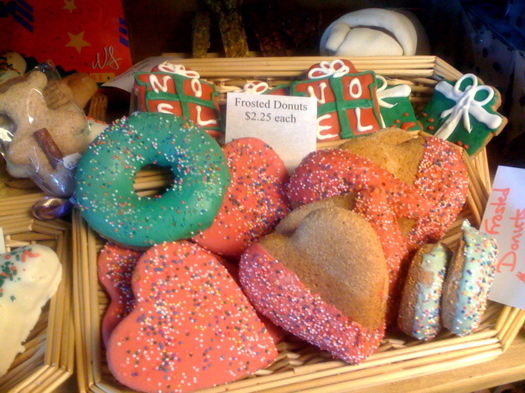 It's fun to watch my Isaboo start her tail waggin' the minute she sees these treats. I'll bet your dog will go crazy for them, too. Well, we'll just see about that. We put the Booscotti to the test with Otto, the AOA office dog. 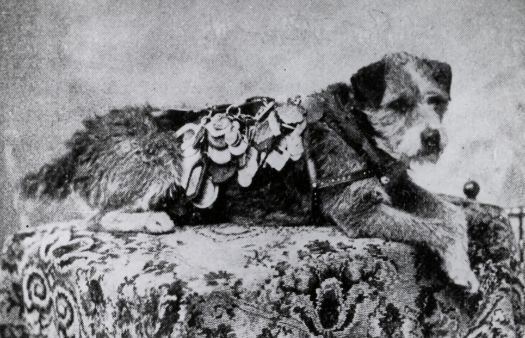 Owney was apparently some sort of terrier mix. Just before the beginning of the last century, Albany was known all around the world. Because of a dog. "A dogs life isn't as easy as it looks. I need a little pampering too." Pretty much everyone with a dog -- or any pet, for that matter -- has probably taken their fair share of dog pictures. It's not like three million plus photos on Flickr have been tagged "dog" by accident. But we'd never heard of anyone having their dog professionally photographed. Then we came across Heather Bohm-Tallman, a photographer from the Saratoga area who shoots weddings, events and... dogs. "Really?" we thought, "That's kind of cool. And maybe a little weird. We gotta talk to her." The Albany-Capital District Pug Lovers Meetup Group had its annual Pug Ball this past weekend in Colonie. 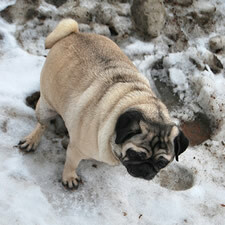 And pugs of all sorts -- young, old, skinny, round, easy going, excitable -- were decked out to look their best. After a few minutes there, it was pretty clear: pug people have more fun than the rest of us. Many pictures after the jump. Be sure you're braced for extreme cuteness.